Since the opening in 1997 of the Guggenheim Bilbao, designed by Frank Gehry, museum architecture has enjoyed worldwide attention on an unprecedented scale. That single watershed project demonstrated to municipalities that architecture has the power to transform the image of an entire city, thus making the turn of the twenty-first century the unofficial age of the museum building. New Museums examines the boom in high-design museum projects in detail, beginning with the Guggenheim Bilbao’s groundbreaking role in the development of contemporary museum architecture. 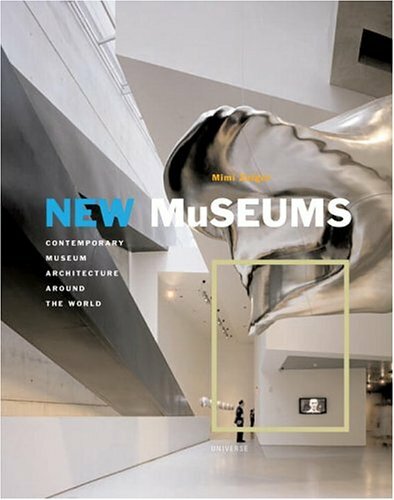 It continues with a beautifully illustrated tour of 30 examples of the most innovative and exciting museum architecture around the world, including Tadao Ando’s Museum of Modern Art in Fort Worth, Zaha Hadid’s Contemporary Arts Center in Cincinnati, Renzo Piano’s Nasher Sculpture Center in Dallas, and many others.